Locate items quickly and easily. Fridge and freezer shelves organize food storage and hold spills for easy clean up. Click the button below to add the Haier - 11.6 Cu. 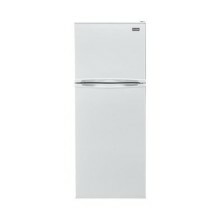 Ft. Top-Freezer Refrigerator - White to your wish list.